Do you have Superwoman Syndrome? If you're trying to be just that -- Superwoman -- then the answer is YES. It's feeling the pressure to do it all: be a nurturing mom, diligent employee, loving wife, active church member, gym devotee, committee(s) head, manager of finances, keeper of your home, a taxi for your kids, and friend to the world. And all with a big smile on your face. As if that were not enough, not only do you feel like you have to do it all, but also do it all well. Instead of feeling good about yourself, chances are you are feeling overworked, overwhelmed and overly committed. You are also probably exhausted, anxious and stressed to the max. But don't worry, you're not alone. You are in the company of many moms, professionals, community organizers, activists, volunteers and socialites. You are also in the company of college-aged women and even very young girls who are under pressure to excel in school, sports, looks and relationships. The Superwoman is also a good person, duty oriented, very responsible and truly desires to do what is right. As such, Christian women can easily fall into the trap of having Superwoman Syndrome too. The term "superwoman" was coined by author Marjorie Hansen Shaevitz who wrote the book The Superwoman Syndrome , published in 1984. The book became a best-seller, as did its audiotape series. The basis of the book was "for women trying to do it all - how to decide what's important in your life and do it well." The whole notion of the Superwoman came from the second-wave feminist movement, which was part of the Women's Movement that began in the 60s and lasted until the late 70s. The first wave of this movement was to gain legal rights, while second-wave feminism involved sexuality, family, work, and reproductive rights. The second wave gave women opportunities they'd never had before. It opened doors that had been shut to them for years. For some, this whole new world included more demands than they knew what to do with, the pressure to do it all, and the belief that they could. Today, more women earn bachelor's degrees than men, half of the Ivy League presidents are females, and the numbers of women in government and traditionally male-dominated fields have dramatically increased. 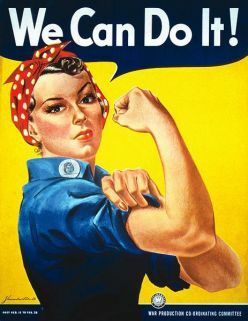 In 2010, women surpassed men for the first time in the American workforce. Have you ever heard the phrase, "Too blessed to be stressed?" If you are one who suffers from Superwoman Syndrome, you are probably just stressed, and too much stress is unhealthy. Some stress-related illnesses include ulcers, migraine headaches, high blood pressure, and heart problems. Too much stress can also produce unhealthy coping patterns. In a recent study of stress and coping patterns for women ages 25 to 34 years, one third of the women in the study used food consumption as a means of coping with their problems, with girls and women under 25 reportedly turning to anorexia and bulimia. The younger women also reported physical and emotional symptoms of stress more often than older women. Prescription drug use is another way that women with Superwoman Syndrome cope with their stress. Over-medicating can be dangerous to one's health and can sometimes lead to serious addictions. Assertiveness Training: Learn to express yourself, your thoughts, your feelings, your beliefs, all while respecting the rights of others. Assertive behavior can prevent problems that have the potential to create stress. Support System: Build your own support system and form effective relationships. These people can give help and comfort during times of potential stress. Have a Relationship with God: Take time out of your day for prayer and studying the Word. God is also a good One to talk to in times of trouble or despair. Learn to Delegate and Ask for Help: You really don't have to do everything. If your kids are old enough, ask them for help with housework. Ask your husband to lend a helping hand at home. It really is okay to ask for help. Let Go of Perfectionism: Realize that the house does not have to be clean 24/7. Dinner does not have to be just right every evening. It really is impossible to be perfect all of the time. Make the Sacrifice: Maybe it's time to downsize your home or sacrifice your job to stay at home? Ask yourself what things you can live without. Try to focus on your needs instead of your wants. Take time out for you: Get your hair done, book a massage, or have a pedicure. Go shopping for a new outfit. Take off somewhere on your own and read a good book. Schedule a coffee date with a good friend. The world really will go on while you take a break. As a Christian, a way to heal from Superwoman Syndrome may mean realizing that God gave you certain gifts, but He didn't give you all the gifts. Sometimes when you feel pressured to do something you're not sure about, ask yourself, "Does God want me to use the gift He has given me for this situation?" Although being called out of your comfort zone can be good, it is not always good to just say yes to everything. Pray about it first. Do you feel the need to do it all? Where do you think this feeling comes from? What do you think God wants for you and your life? Cari Bousfield is a freelance writer and blogger. 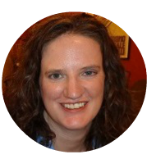 Besides blogging for JOY, Cari blogs at Faith's Mom's Blog and writes on a variety of articles at HubPages. She is also the author of Having Faith. Cari has a strong desire to help people connect with one another and to God. She prays that through her writing, she can reach the hearts of others and help to bring hope, inspiration and courage to "walk by faith not by sight". See all JOY Blog posts by Cari. When God is trying to change us, He often asks us to let go of what we hold onto tightly. And that can be hard. When fear holds us back from beginning something new, we need to be willing to start fresh every day, inspired by the curiosity and courage of the very young. Every life is a gift. But sometimes that gift is extra special because of the hope it brings in a time of sadness.